When most people think of the Amazon, images of vast rain forests come to mind. And indeed, upland rain forest covers around 80% of the Amazon Basin. But it´s easy to forget that what makes the Amazon really unique is not that it has lots of rain forest (so do large parts of central America, Africa, and Asia), it’s the water and the spectacular complexes of aquatic ecosystems, which together sustain life, both human and wild. 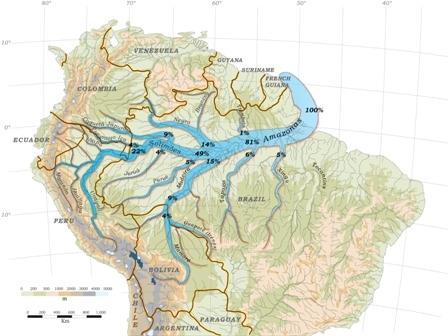 The Amazon Basin is the largest river system on the planet, covering an area about the size of the continental United States and delivering 15-16% of the freshwater entering our oceans. Amazonas State in Brazil, where we focus, is unique in its size and abundance of flooded forests, flood plain lakes, and other wetlands, and is home to an astounding array of globally significant wildlife, including iconic species like jaguar, caiman, pink river dolphin, manatee, giant river otter and Amazonian river turtle. And let´s not forget about the fish! 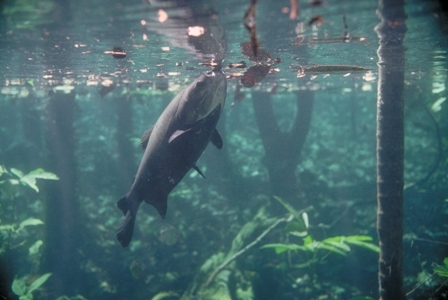 Although extractives like oil and rubber have long attracted industry to the Amazon Basin, fish is the most important resource in the Amazon Basin. The basin supports the largest diversity of freshwater fish species on the planet (1800-3000 species), and isone of the most productive in terms of total fish production. In the Basin, you can find some of the largest freshwater species in the world, including the giant pirarucu, which can grow to nine feet and weigh 300 pounds, and many species that evolved with flooded rain forests to feed on fruits and other tree-borne foods. 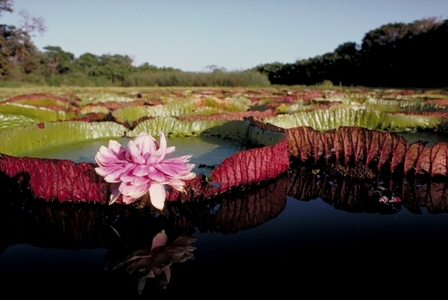 These ecosystems and species are the foundations of livelihoods for almost 20 million people in the Amazon basin (nearly 4 million people in Amazonas State), providing, among other things, potentially sustainable sources of fish and animal protein for local consumption and income generation, a vast transportation network, and clean drinking water for rural families and growing cities.